Browse » Home » LGBT Issues , Life Issues , Love and Relationships , Personal Commentary » "Why Are You Single?" Love and relationships are great. So why are you single? Shouldn't you be taken? These questions are too personal and borderline pointless to ask to some people. Some will even shrug it off or even give some kind of comical response. When people are asked about why they are single or anything, it is as if to say one's success is predicated on being in a loving relationship. Or maybe it is to say being socially acceptable depends on being taken, and especially by someone immensely attractive or seductive. It could be acceptable to ask why someone is single as a way of saying that someone is a very nice person who doesn't have someone he/she loves. Almost as if one's personality is enough to win the heart of almost anyone in the world. That can be an acceptable take on questioning one's love life. However, when you question or ridicule someone for being single like someone is a bad person or like someone NEEDS to have someone in their love life, this is what gets me riled up. This sounds like having a love life is as easy as going to a store and buying one. We all know that is not true. One time on YouTube, someone hated on me and said something along the lines of "get a girlfriend." Almost as if I am somehow required by law to have a loving relationship. First of all, it is none of your business to judge people on whatever love life someone has or should have. Let a person have whatever kind of love life (or lack thereof) he/she wants to have. I personally have known a number of girls whom I've known in school and college whom I could imagine marrying and starting a family with. I have never put any real importance or urgency to marry or love someone. How I am ultimately judged as a person should not come down to whatever love life I live. I also dislike when some of the ones who want to try to pretend they love me try to friend me on Facebook or follow me on Instagram. Some Facebook types are the ones who seem all innocent until they message you wanting a relationship. And what about Instagram? Some people who really want to follow me on Instagram are the ones who have links to shady, skanky pornographic websites. I immediately block certain suspicious Instagram profiles as I do on almost any other social medium. Some people even prefer being single. You know, why waste time with people who don't love you as much as you love them? Or why even put up with people who seem to want nothing to do with you or don't care about you as much? Maybe some single people will want to get back into the game (so to speak) eventually. What is unacceptable is to wish certain individuals would get on the market. And on top of this, how do you know certain single people even want an opposite to love? If you criticize some guy for not being able to get a girlfriend, how do you know the guy loves women? You know... what if the male in question wants to be romantically involved with another man or maybe a transgender person? Some people talk about finding love it is a priority or something trendy. Love lives are also not about competition. I am sure there are those who look at certain individuals as (especially among us males) to take the hottest girl and have a family with her. Everyone seems to want competition with everything- including finding love. Trying to find someone to love is unnecessary and excessive pressure. Why not concentrate on just loving someone whom you feel complete with or who you think will make you the happiest? And even if you are taken, don't be under any pressure to have the hottest lover anyone can have. Love should be a privilege and a responsibility. It is not, however, a priority. You are disrespecting what it is like to love and be loved when you question why someone is single or when you think someone should find love. True love takes time, effort, and chemistry. I would rather take my time getting to know someone and love someone than look for love as a "quick fix." Even if I were date others for the rest of my life rather than find someone to love and marry, I am in no rush or feel no importance to be taken in love. Not everyone is "wham, bam, thank you ma'am." Instead of worrying about why some people are single, why not worry about your own life and your own love life? Other people are not prizes to win. Being with certain people should not be any kind of status symbol or have as much of importance as some college degree. People will still look at finding love like it is cute. It is about the same way as someone may find being pregnant and having children as "cute" or "trendy." Love is commitment, not a fad or a game. People in society are NOT failures just because they are single when they could be happily in love. So go easy on people that are single. Love is nothing to disrespect or disgrace. It is also not a competition. Learn to respect others and their privacy- even in terms of love. Or in the case of certain people whom are faced with the question of "why are you still single? ", the answer is simple- "none of your [expletive]ing business." I hope you were able to enjoy this blog post. Feel free to agree or disagree with me at will. 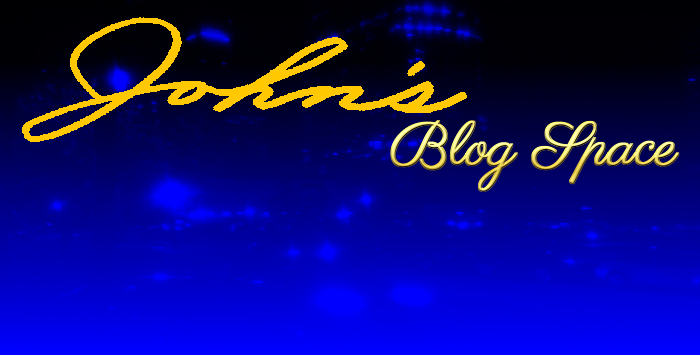 Be sure to Subscribe and Follow my blog(s) if you find my work enjoyable. Thank you for reading! Take care and be well.